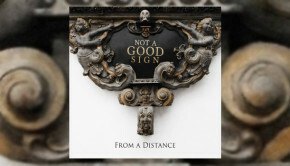 On the contrary this release from Not A Good Sign is well and truly a good sign for progressive rock and should certainly appeal to fans of the heavily keyboard orchestrated prog of the early 70s. A bold opening statement, but one which will hopefully encourage you to check this album out further. The assured performance of this debut album is derived from the calibre and craftsmanship of the musicians assembled. 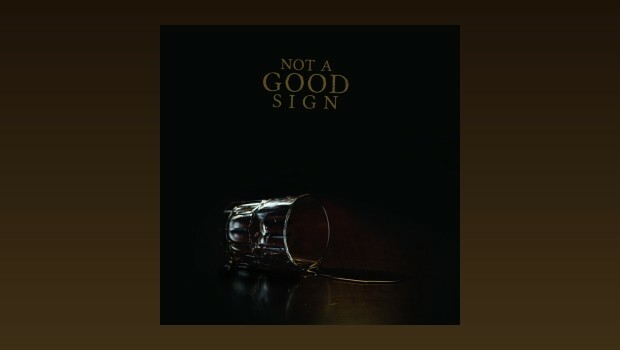 Not A Good Sign comprises of keyboardist Paolo ”Ske” Botta and guitarist Francesco Zago, both from Yugen. Joining them are Gabriele Guidi Colombi (bass) and Alessio Calandriello (vocals) from La Coscienza di Zeno and completing the main line-up is drummer Martino Malacrida. Additional to this impressive line-up are Yugen’s Maurizio Fasoli (piano), vocalist Sharron Fortnam (North Sea Radio Orchestra & Cardiacs) and cellist Bianca Fervidi. The title track returns more to the atmosphere of the album opener, although Calandriello joins the party and his powerful performance soars over the choppy, superbly executed music. Once again the music takes a lighter mood, but one suspects only to add further drama and tension as the track moves forward. As Making Stills gently glides in, one might gather a pattern is emerging and certainly the first two and half minutes are tranquil, soothing and show the band in a lighter mood. However the Rhodes piano heralds a change and what follows is a fantastic two minutes of intricate music with finely interwoven keyboard solos. Sadly all too brief, but we are comforted by the delightful, increasingly dramatic outro. Probably my favourite piece from the album is the stately Witchcraft By A Picture. Two minutes of melodic themed guitar, washes of Hammond organ, all driven with great power and gusto by the rhythm section of Malacrida and Colombi. Just when you think this can’t get any better Sharron Fortnam delivers a fantastic vocal and as her voice fades into the distance the band rise to take the field once more. Awesome stuff. But, as said, both tracks perhaps belie this as throughout the album the listener is carried by the fullness of all the performances. Like most good albums the more I listened the more I wanted to listen. At a little over fifty minutes the album didn’t outstay its welcome and at this point I’m at a loss to offer any downsides to Not A Good Sign. 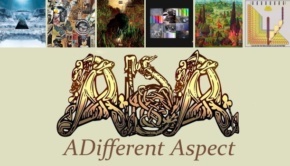 Yes it is challenging, but equally rewarding – and it is these elements that, over the years, have sustained my interest in progressive music. Considering the depth and complexity of instrumentation the production manages to hold all the parts in balance. The album artwork is simple, but so befitting. AltrOck/Fading Records have come up with yet another fine release to add to their impressive catalogue.